In a financial earnings call today, EA CEO Andrew Wilson announced that the new, original IP from Mass Effect: Andromeda developer BioWare will be delayed until fiscal year 2019, which begins around March/April of 2018. "The design is stunning. Gameplay mechanics are excellent, and the action will be exhilarating. The game is built around a live service, and through our creative process, we decided to add more to the disruptive new social design for our players. To accommodate that, we are moving the launch date for this project into fiscal year '19[,]" explained Wilson on the investors call. This announcement follows a previous statement from Wilson during a Q3 investment call saying the unannounced game would release by March 2018. The delay into FY 2019 significantly alters that timeline, suggesting the game could be delayed anywhere up to a year beyond the originally stated release window. The BioWare logo was also noticeably absent from EA's fiscal calendar. While the new BioWare title hasn't been officially announced yet, the game is described by EA and Wilson as more of an action-adventure game than a RPG. This along with the news that it will be tied to a new kind of live service suggests that his game could be some kind of shared-world experience. Many internet goers are even suggesting the title could be a kind of competitor to Bungie's Destiny. Of course this is all rumor until an official announcement. 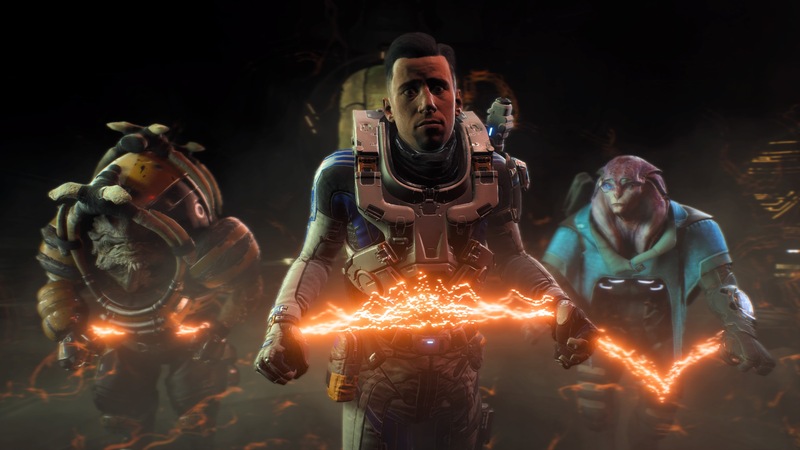 During a questions portion of the earnings call, one investor asked whether or not the Mass Effect news cycle, which hit some rough patches due to complaints over the game's graphics, had anything to do with the delay. To which EA reiterated their pride and commitment to the work BioWare has produced. EA has primarily attributed the cause of the delay to the game's online services, which EA wants to refine, believing their company to be of large enough scale to deliver some kind of massive, online service few competitors can compete with. Whether or not the new BioWare IP will be present at EA Play during E3 this year is yet to be seen. Tagged with Bioware,	Electronic Arts,	Mass Effect,	News.